This is a straightforward, must-win scenario for Stars after being thrashed by their main rivals for the last semi-final spot. Their bowlers were absolutely hammered by Heat's openers, going for a remarkable 15.8 per over. Nonetheless, they have done well to be in this position after losing their first two games. They got on the board by beating today's opponents with a bowling display inspired by Sandeep Lamichhane and the brilliant Nepalese teenager is back from BPL. Their recovery is primarily due to one man though. Marcus Stoinis is third on the tournament run list and has played three fewer games than the dominant Hobart pair above him. He's also joint leading wicket-taker for Stars alongside Dwayne Bravo, despite again playing three fewer games. In order to finish second and gain home advantage in the semi, Sixers merely need to avoid heavy defeat and defend a 0.27 run-rate advantage over Renegades. Nothing, of course, can be taken for granted with run-rates as that Stars/Heat match demonstrated. Sixers have really impressed as the tournament has worn on. They boast three of the tournament's top six wicket-takers and six batsmen averaging 25 or better, creating the perfect all-round balance for a T20 side. James Vince has made a particularly big impact, averaging 58 in six matches, as they have gone on a winning run. Sixers have now won four in a row, all with plenty to spare. The MCG is perhaps the most consistent ground for runs in T20 cricket, in so far as extremes are very rare. In 17 Big Bash matches over the past four seasons, there has been no first innings totals lower than 124 or higher than 188. The par score is lower than average. Only six of those 17 first innings reached 160 and eight were below 150. In international matches, the average is even lower. This will probably be reflected in the run line, with 160 or more around [2.1]. If Stars bat first, I'd be inclined to lay 150 plus around [1.6] and 140 plus at [1.35], because they are quite brittle. Sixers bat deeper so I won't be taking them on. A dubious perception that Stars' extra motivation will be a gamechanger explains why they are [1.87] favourites, against a side with much better recent credentials. Sixers are flying at the moment while Stars just got hammered in a crucial game. All things being equal, I would make Sixers a cracking bet. The best T20 sides often go on these sort of winning runs towards the end of tournaments, and they look a superior outfit. However once again, there is a huge toss bias to consider. The last two matches were won by the team batting first but that ended a losing stretch of ten. This is definitely a chasers ground and one of those anomalies came after a strongly over-par total from Hobart. With that in mind, keep stakes on the visitors small. Stoinis is 2/1 to top-score again – not an appealing bet in that relatively random medium. 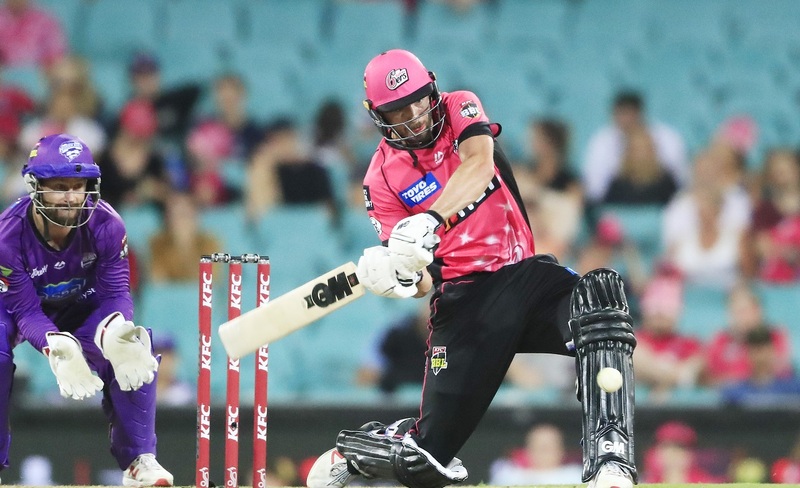 Otherwise, Stars' top order haven't been all that reliable, so I'll try one from the middle order – the 25-1 about wicket-keeper Seb Gotch appeals, given that he batted at six last time. Rightly, the betting for top Sixers runscorer is more open than most teams. Anyone down to number eight is plausible and they have the versatility to experiment. At 16/5, James Vince sets the standard on what he's achieved to date.